UK Techno legend Steve Bicknell is our guest this week as he stops by to chat about his past, present, and future. Along with his partner Sheree Rashit, he was responsible for inspiring an entire generation of UK clubbers with their legendary LOST parties in London. 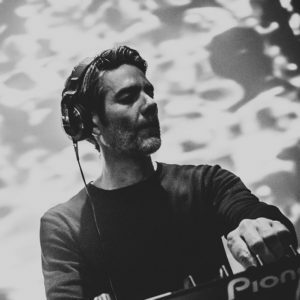 He’s also responsible for Cosmic Records which has rich discography of his productions along with the likes of Oliver Ho, Phase, Surgeon, and Robert Hood. As he explains during his chat with Dustin, he decided to take a break about 10 years ago in order to spend more time with his family. A few years ago, Steve popped up on the radar again with a remix for Plastikman. He quickly followed with a few releases on his dormant Cosmic Records imprint, some guest appearances on Ostgut Ton, and remixes for the likes of Terrence Fixmer and Dustin Zahn himself. Steve also goes into detail about his revived love for techno and what lies on the horizon.